Instagram confirmed last week that it is testing a new video tagging capability which would allow users to tag friends in videos, as well as pictures. Instead of the icon in the bottom left showing tagged names on top of the content, the new feature would link to a specific list of tagged people. The new feature is currently available only to those who have opted in to the test, with no confirmed plans to roll it our wider as yet. Although Instagram doesn’t allow users under the age of 13 to sign up for the platform, they have released a guide for parents in order to help them understand the platform, and how they can keep their children safe while using it. The guide highlights features such as blocking accounts, private profiles, and setting time limits for daily usage. As increasingly younger children start to want Instagram profiles, worried parents can educate themselves about the platform and assuage some of their concerns. As we hit autumn (or rather, autumn hits us), it’s inevitable that brands will start advertising for the holiday season. 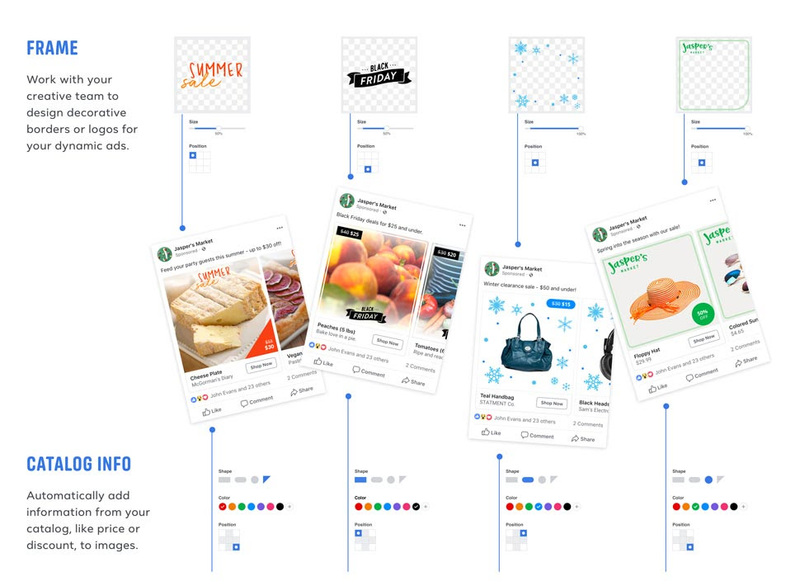 In preparation, Facebook has announced a new set of holiday-themed ad options, including festive templates for its Dynamic Ad overlays and holiday-themed tools for the Video Creation Kit. The Christmas countdown has begun! WhatsApp has launched a feature phone version of the app for JioPhone 1 and 2’s KaiOS. For those not in the know: JioPhones – one of the country’s leading models – are designed to support 22 of India’s native languages, and WhatsApp would be missing out on a huge market by not expanding to it. In response to the negative backlash recently experienced from the spread of fake news, the platform has also released a radio PSA campaign on 46 Indian stations warning people to verify news that they hear on WhatsApp before taking action. Media companies will now be able to access public Snapchat posts from users and use them to create their own content revolving around live events, breaking news, and other topics. The feature will be called Curate Our Stories, and will allow companies to do the same as Snapchat does with the Our Stories feature – collecting photos and videos from Snapchat users. Our Stories is extremely popular within the platform, and expanding the option to publishers will allow them to create content quickly and cheaply. 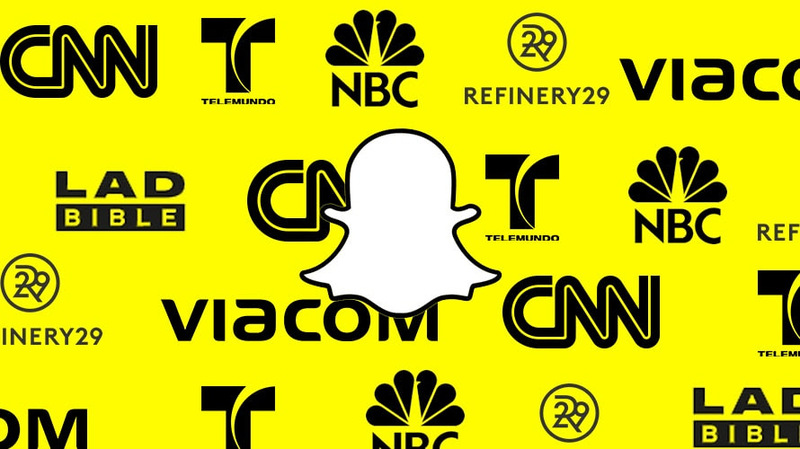 Snapchat has announced partnerships with 25 media companies, including NBC, CNN and Refinery29 to publish daily editorial units on the platform. Users will receive the content in programmatic ads and each piece will come with a unique URL so that the content can be shared anywhere. Twitter has announced a series of new deals with media and entertainment companies to bring ‘hundreds of hours’ of sports and entertainment videos to the platform. Partners include Sony, Red Chillies Entertainment, NBCUniversal, Fox Sports Asia and Vice. As video consumption on social media continues to grow, Twitter claims that these partnerships aim to help these companies reach their audiences online. Twitter users can now more easily catch up on live broadcasts from accounts they follow, as the platform announced a new update which will push live streams to the top of users’ feeds. The feature will be rolling out on both Android and iOS starting now. YouTube has followed in the footsteps of platforms such as Facebook, Instagram, Spotify and Snapchat as it launches vertical video ads. The ads will be similar to the TV-like ads already on the platform, although it’s likely that companies will favour shorter ads that can be used across other platforms as well. YouTube is seen as the original, and biggest video platform, so its adoption of vertical ads marks the significance of the format. 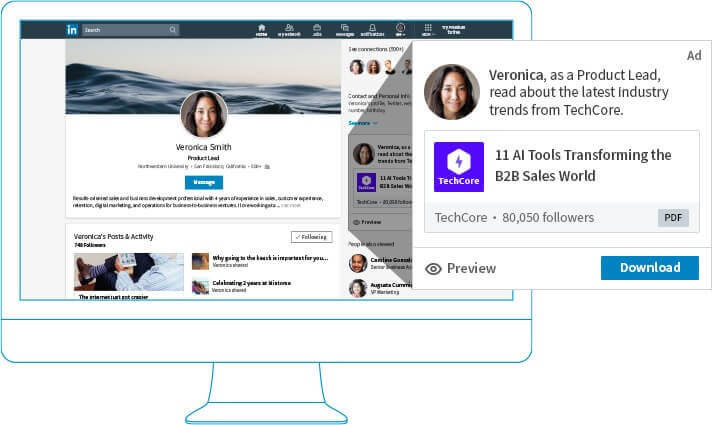 Following the recent redesign of its Campaign Manager platform, LinkedIn is introducing its Dynamic Ad product to the management tool – meaning that advertisers will now be able to create, manage and track campaigns through the platform which are tailored to the individual viewer, based on publicly available information from the user’s profile. The newly introduced service will also come with pre-built templates, auto-translation capabilities, and the added ability to run A/B tests. LinkedIn’s Dynamic Ads are said to have delivered up to two times the click-through rate of traditional display ads. The professional social network has announced a new partnership with travel providers including Delta Airlines, Emirates, Cathay Pacific, Turkish Airlines, select Alaska Airlines flights, and the Eurostar rail service; to enable passengers to take LinkedIn Learning courses in transit. LinkedIn’s Learning library currently includes thousands of professional skills courses and the platform says the new agreements aim to help users make the most of their travel time. According to the latest figures from the social network, 250m people are now using the platform every month – that’s 50m more than this time last year. More than half of this 250m, and 80% of new sign ups, are also reported to be from outside of the US. Pins (saved items) on the site are also growing, showing a 75% increase year-on-year. The platform is also continuing to expand its operations, with current employee numbers standing at more than 1,500 and more than $1 billion in venture capital funding recently secured. Bullet Message, a new instant messaging app, has quickly become “the most-downloaded free offering on Apple’s App Store in China” and could become the first big challenger to WeChat. Despite WeChat being essential for daily life in China – with its nearly 1 billion users using it daily to pay their bills, stay in touch with friends, and generally live their lives – Bullet Message has managed a meteoric rise by keeping its offering simple and providing a few services which have been sorely missed from WeChat’s offering. One of the services proving most popular is the transcription of voice recordings into text messages, as opposed to WeChat’s audio-only method of communication. Despite being famously absent from the platform – still having never tweeted organically from its main Apple account – Apple spent “a significant amount on Twitter” for the launch of its latest products on September 12th. Apple had “a promoted trend ($200,000 per day), a custom build for “like for reminder” ($250,000 for several days), promoted tweets in at least 12 languages (CPMs depend on budget, going from $0.50 to $8), a hashflag, and a livestream of its launch event”. Although it’s unclear what Apple’s ROI was for this large investment, social analytics company Crimson Hexagon “there were about 1.9 million tweets about Apple’s event and products” on September 12th alone. 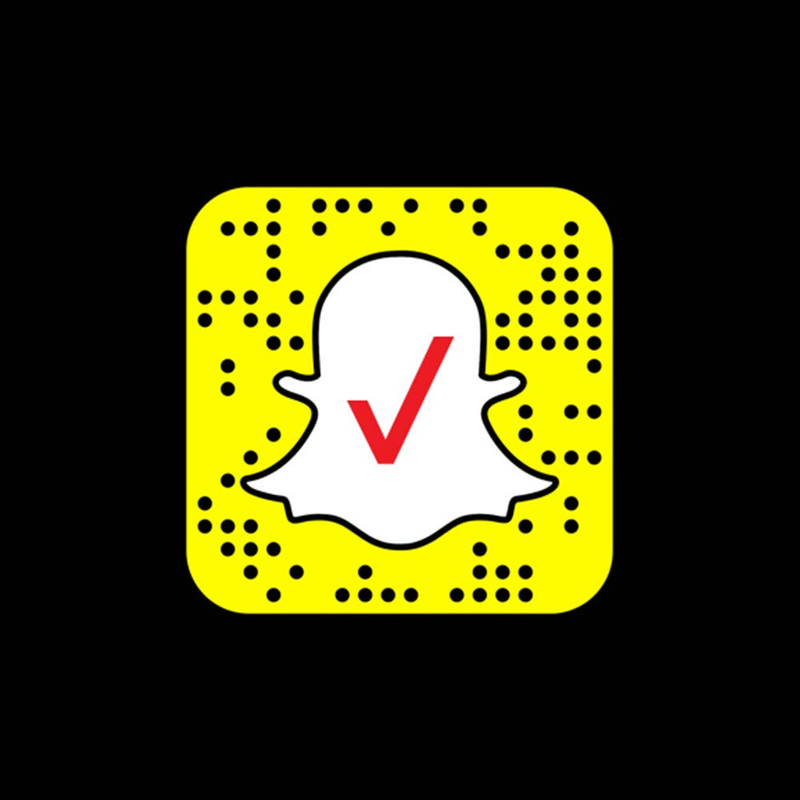 American telecommunications company, Verizon Wireless offered their customers the chance to get their hands on one of 150 brand-new iPhone XS devices over the weekend; as it launched a new augmented reality Snapchat game. Similar to Pokemon Go, players had to find and capture three music loops and one Super Loop, which were produced by Squeak E Clean using songs from artists including SZA, Daya and Borns, and arrange them to create a unique music mix which they could submit to the competition. 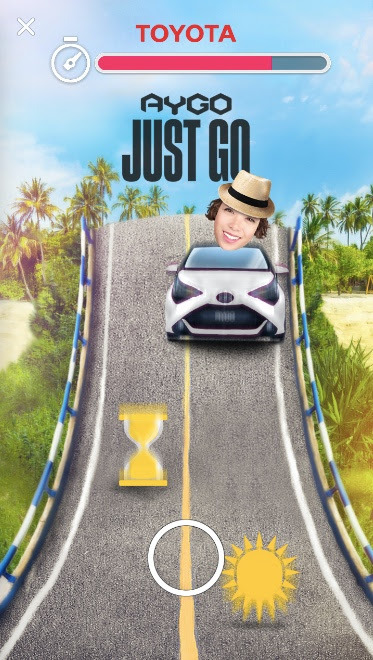 As part of ongoing efforts to position the brand towards a younger audience, Toyota has launched a “new racing video game, Aygo Kart, that uses Snapchat’s augmented reality lenses”; along with a specially designed Snapchat Lens which follows the story of one of the “Just go” campaign films launched earlier this year. In addition to which, the brand has also released a series of bespoke ads on Spotify aimed at celebrating “variety in music”. The ads are targeted to listeners on the platform’s free service and adapt the content based on their style of listening. M&S Food, the grocery arm of British retailer Marks and Spencer, has launched a year-long social media campaign which kicked off this weekend with the first in a monthly video content series, which will see TV celebrities taste and debate products from the brand’s Italian range. The ‘What’s New at M&S’ campaign will feature on the brand’s Instagram TV, YouTube and Facebook, and is the first time “the brand has used dedicated social-first video content in its food marketing”. The online activity will also be supported by “in-store point of sale promoting the celebrities’ favourite dishes”. The post We Are Social’s Monday Mashup #414 appeared first on We Are Social.